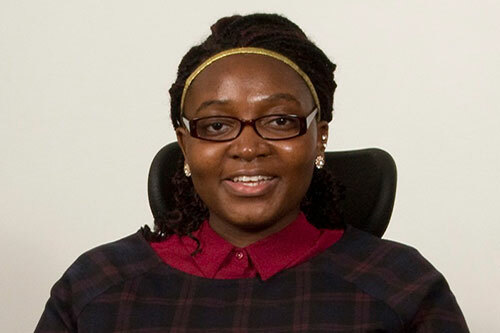 The British Academy of Film and Television Arts (BAFTA) has award ed a second year of funding to City student, Matilda Ibini. Matilda, who is studying for a Masters in Creative Writing (Playwriting and Screenwriting), was named a Prince William scholar in 2014. As a recipient of the scholarship, she receives financial support, alongside free access to BAFTA events and one-to-one mentoring from BAFTA members, award-winners and nominees. The BAFTA Scholarships Programme aims to support talented people in need of financial support to study a postgraduate career in film, television or games. The Prince William Scholarships, supported by BAFTA and Warner Bros., also provides a short funded work placement with a Warner Bros. associated company. Matilda was one of three recipients of the Prince William scholarship in 2014 and BAFTA have announced that the support will be renewed for a further year. The scholarship has made me think that dreams are never too big and being supported by BAFTA, and Warner Bros., means I can dream even bigger. Anne Morrison, Chair of BAFTA said: “BAFTA’s scholarship programmes in the UK and through our international branches continue to go from strength to strength. Through these schemes we’re able to provide talented individuals, who might otherwise be lost to our industries, with the financial means and professional support to advance their careers in film, television and games. HRH The Duke of Cambridge said: “Having met previous recipients of the Prince William Scholarships in Film, Television and Games, I know the impact that the BAFTA and Warner Bros. initiative has for these talented students. As President of BAFTA, I am proud of the opportunities for progression that the scheme offers.